New Directions Publishing Corporation, 9780811229203, 320pp. The Kites begins with a young boy, Ludo, coming of age on a small farm in Normandy under the care of his eccentric kite-making Uncle Ambrose. Ludo's life changes the day he meets Lila, a girl from the aristocratic Polish family that owns the estate next door. In a single glance, Ludo falls in love forever; Lila, on the other hand, disappears back into the woods. And so begins Ludo's adventure of longing, passion, and steadfast love for the elusive Lila, who begins to reciprocate his feelings just as Europe descends into World War II. After Germany invades Poland, Lila and her family go missing, and Ludo's devotion to saving her from the Nazis becomes a journey to save his love, his loved ones, his country, and ultimately himself. 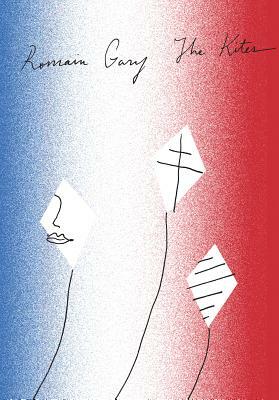 Filled with unforgettable characters who, as the war goes on, fling all they have into the fight to keep their hopes--and themselves--alive, The Kites is Romain Gary's poetic call for resistance in whatever form it takes. A war hero himself, Gary embraced and fought for humanity in all its nuanced complexities, in the belief that a hero might be anyone who has the courage to love and hope.